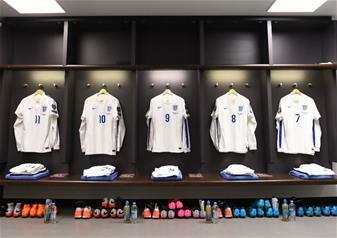 The Player’s Tunnel with an exclusive behind-the-scenes film showing the world’s greatest players preparing to enter the stadium. The world famous Royal Box for a souvenir photographs with the FA Cup. The FA150 Exhibition charting the history of modern football including the original FA Minute Book from 1872. The Exhibition of Champions showcasing the story of the European Cup Final from its humble beginnings through to the UEFA Champions League Final. 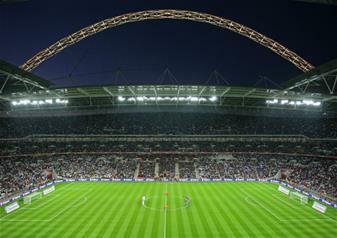 The Wembley Stadium Tour is a truly memorable experience for sports fans of all ages. 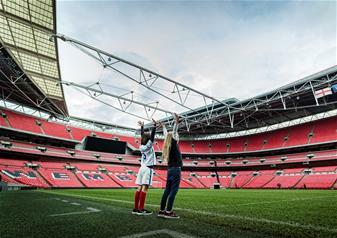 Housing an incredible 90,000 seats, Wembley is the largest football and music venue in UK and the tour will take you deep into the areas of the stadium only usually reserved for the biggest sports stars and live acts on the planet. 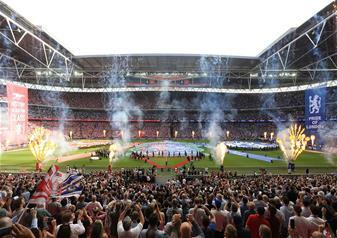 Unless your boyhood dream of playing at Wembley comes true, there’s only one way to experience what it’s like to walk ot of the famous tunnel and onto the pitch of England’s National Stadium – to take the Wembley Stadium Tour and walk in the footsteps of sporting legends and feel the magic. The Tour: The tour of the new Wembley Stadium includes visits to the VIP Club Wembley Middle Tier of the stadium for a fantastic photo opportunity, the Manager’s Press Conference Room, the Player’s Tunnel, the Royal Box and England’s Home Dressing Room where the 3 Lions go through their pre match preparation for every international match. You’ll get access to where the players go, see what the players see and feel what the players feel. 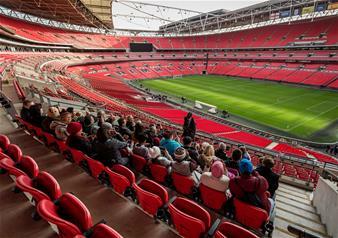 The History: Explore the rich history of Wembley’s illustrious past with fascinating artefacts such as the Olympic Torch from 1948 and the infamous Crossbar from England’s World Cup win of 1966. 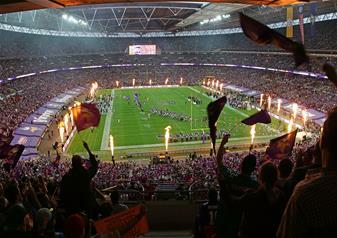 The Wembley Stadium Tour was awarded the Silver Prize for ‘Best Sports Tourism’ at the 2008 Visit London Tourism Awards and is a Visit England Quality Assured Attraction. 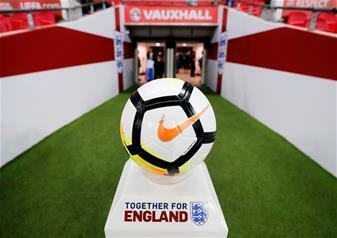 The Exhibition of Champions Supported by UEFA, the exhibition celebrates 56 years of glorious European Football history and forms part of the Wembley Stadium Tour. It features prize exhibits including inspirational Liverpool skipper Steven Gerrard’s 2005 captain’s armband, David Beckham’s jersey from Manchester United’s victorious 1999 campaign and Graeme Souness’ three winners’ medals from ’78, ’81 and ’84.